It took almost a decade for Forever 21 to enter the Chennai market, but by the looks of it, the brand already generated a noticeable buzz on social media with over 2,000 contestants vying for a chance to meet Sonakshi Sinha during the launch of their new store at Express Avenue. The LA-based apparel giant will open its 10,000-sq ft space to a select few in the city for an exclusive preview today, while its doors will open to the public tomorrow. ai?? ?Chennai is a key market for the brand, and setting up a store was just a matter of finding the right space,ai??? says Abhinav Zutshi, Business Head of the brandai??i? ?s operations in the country. With their collections in the country just 15 days behind product releases at their US headquarters, the 41-year-old marketing head believes that the brand has a competitive edge over other players in the market. ai?? ?Our target segment falls under the specific age category of 12 to 21 years. And since our collection keeps changing as per LA street trends, you will not find a similar collection in stores for over a week.ai??? Keeping in mind lifestyle requirements, the store is divided into categories based on a seasonai??i? ?s look or trends. ai?? ?The store will open with sections that fall under a certain look like heritage girl, bohemian girl, girly girl and others,ai??? he adds. For the not-so-familiar, the brand also retails beauty accessories like make-up blender sponges, manicure sets, quirky make-up bags and lint rollers, besidesAi?? standard impulse shopping items like scarves, handbags and hats. Talking about the fashion market, Abhinav says, ai?? ?Trends have become more disposable over the years. Women come in looking to style themselves in something they have seen a Hollywood starlet wear, and so, are willing to spend the money on perfecting that look.ai??? He adds that the biggest trends are patchwork denims, bomber jackets and tie-and-dye dresses. 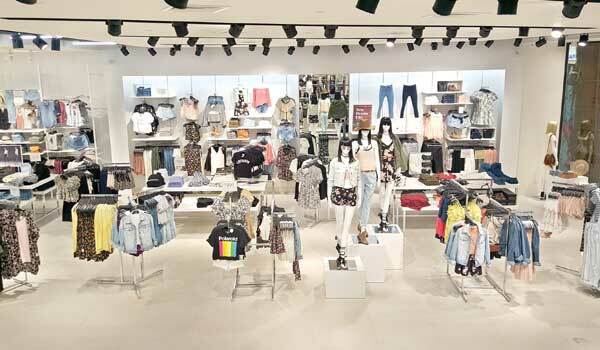 With rapid expansion on the charts, the 33-year-old brand is set to open more stores across city malls within the next 18 months.